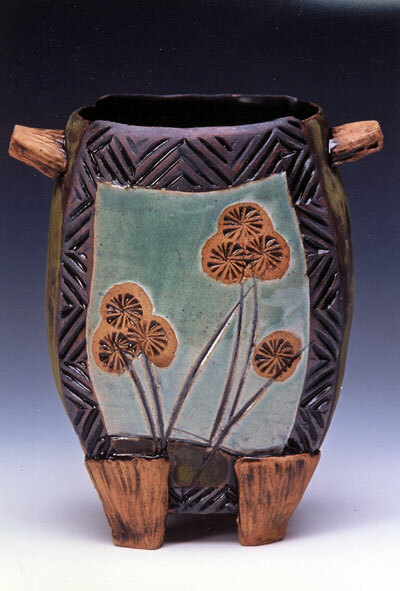 Amy Sanders’ stoneware vessels create a balance of visual elements of form, texture and pattern with utility. Sanders spent her early years watching her mother and grandmothers sew. 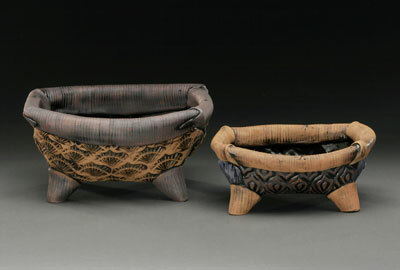 Upon moving to Charlotte in 1999, she did not have a clay studio, so she began to sew. 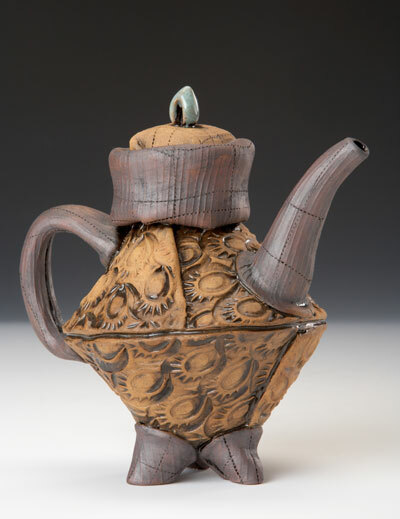 Her experiences with sewing began to breathe life in to her clay work. 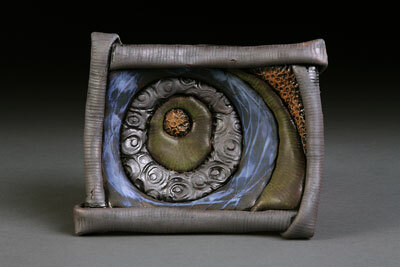 Patterns, textures and seams from fabrics and textiles appear in her stamped clay vessels.